Patent troll IPCom, which has built up a portfolio of wireless patents acquired from former handset manufacturer Robert Bosch GmbH, requested that HTC's 3G compatible devices get detained at the German border, which they were from February 4th through February 10th of this year. This information came out in the midst of a 3G patent damages trial held in Mannheim, Germany on Friday. 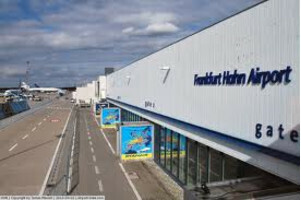 HTC's attorney's let it be known that the devices were held at Frankfurt-Hahn airport. Dr. Martin Chakraborty of Hogan Lovells, HTC's attorney, also told the court that IPCom had tried to get the police in Germany to grab up the Taiwan manufacturer's devices during last year's CeBIT trade show. While that attempt was unsuccessful, HTC was trying to show how relentless IPCom has become in trying to force HTC to accept its terms for licensing certain 3G-related patents. Most of the patents IPCom purchased from Bosch were ruled to be essential to 3G smartphone production, which should make them eligible for FRAND related negotiations. As far as the seized shipment is concerned, it is unknown whether or not the devices were released prior to last week's trial. 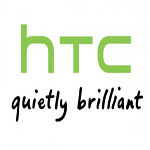 There are no reports of shortages of HTC devices in Germany. You might recall that last May, an ITC exclusion order led to U.S. Customs refusing to allow the HTC EVO 4G LTE and the HTC One X into the U.S. after a ruling that HTC had infringed on an Apple patent. Eventually those devices were released. Interesting. I wonder if the LTE group will manage to put Apple products infringing LTE patents on the hold. Company like IPCom should be illegal.